Most people also qualify the Southern or Eastern Sporades and in particular islands like Chios, Ikaria, Samos and Patmos (all to the north of Kos) as Dodecanese. An easy mistake since this unknown sub archipelago is not separated by a strait from the Dodecanese like the Cyclades is. 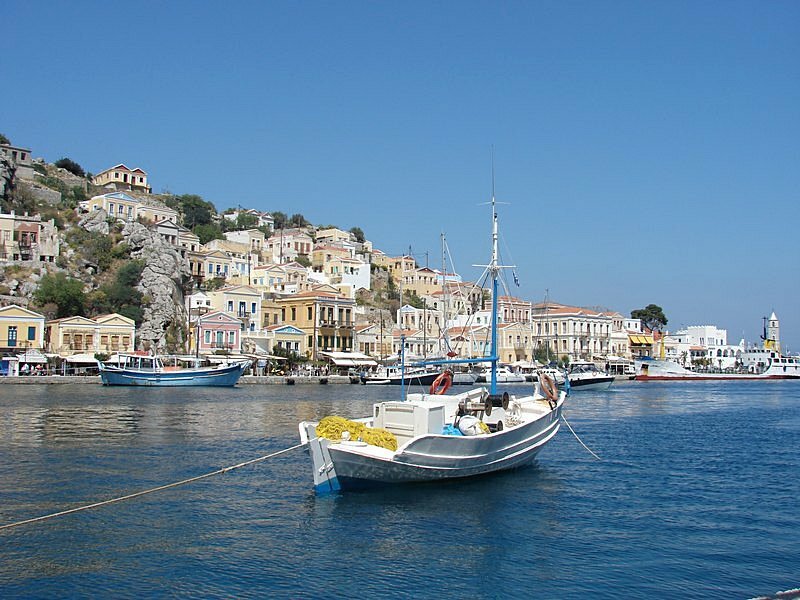 Interestingly, the term archipelago is a Greek word and is derived from arkhi (chief) and pelagos (sea), and actually the Aegean itself is the epitome of exactly such a sea abound with small islands - also compare archbishop, meaning the chief bishop. Yacht charters and sailing holidays are best arranged out of Kos, Samos and Rhodes, but Bodrum, despite being across the border in Turkey, can be very practical as well. In most occasions Kos will do and when one has already savoured the southern part of the Dodecanese, a start from Samos is highly recommended since this sailing holiday region more off the beaten track. Indeed, most reliable rental companies will organise yacht charters out of Samos (Pythagorion Marina). Recently, most yacht charters, whether bareboats, gulet cruises or luxury superyachts (megayachts - motoryachts) start out of Kos marina and not out of the lovely Kos ancient port, alongside the castle.
.: Back to the Dodecanese itineraries :.